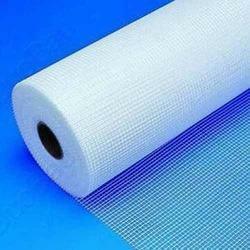 Pioneers in the industry, we offer fiberglass mesh, industrial fiberglass mesh and fiberglass net from India. Fiberglass Mesh is based on the alkaline fiber-glass woven fabric and finished after being coated with an organic material. It is made of fiberglass yarn or roving by means of leno or plain weave. The material used for coating ensures excellent resistance to chemical substances and increases mechanical durability that is required by the construction industry. 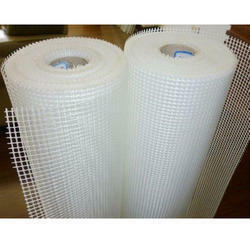 Our organization is providing a high quality range of Industrial Fiberglass Mesh. This provided product is developed by our experts utilizing the optimum class material and superior technique. Due to their water resistance nature, this product is extremely admired in the market. In addition, this product can be availed from us in a variety of specifications that meets on clientele need. Hole size: 2.3 mm × 2.3 mm, 2.5 mm × 2.5 mm, 4 mm × 4 mm, 5 mm × 5 mm. 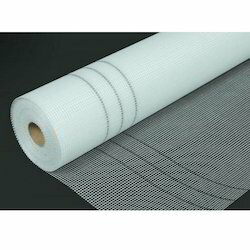 Fiberglass Net is based on the alkaline fiber-glass woven fabric and finished after being coated with an organic material. It is made of fiberglass yarn or roving by means of leno or plain weave. The material used for coating ensures excellent resistance to chemical substances and increases mechanical durability that is required by the construction industry.